Market Publishers Ltd and MarketSizeInfo.com signed a partnership agreement for quality market research promotion on Internet. MarketPublishers.com is now authorised to distribute and sell MarketSizeInfo.com reports. Global Footwear Market to 2017 - Market Size, Growth, Forecasts and Leading Companies in Nearly 70 Countries. The publication includes the total market size and trends for footwear as well as for the leading types of products. The publication includes details for nearly 9000 footwear producers in the world, including company names, contact details, executives, financial information and number of employees which helps to find out the industry leaders and identify the competitive landscape of the global footwear universe. Global Dolomite Market to 2017 - Market Size, Growth, and Forecasts in Nearly 60 Countries. The study is designed for companies who want to gain a comprehensive perspective on the global dolomite industry. The publication makes it easy to compare across different countries and product groups to be able to find new market opportunities and make more profitable business decisions. The products covered include calcined dolomite and agglomerated dolomite. Global Refined Petroleum Product Market to 2017 - Market Size, Growth, Forecasts and Leading Companies in Nearly 60 Countries. The publication provides the total market size for refined petroleum products as well as the market size and trends for various product types, growth, forecasts and leading companies at the global level as well as for the 60 countries. The publication includes details for more than 7000 refined petroleum product producers in the world. Global Lime Market to 2017 - Market Size, Growth, Forecasts and Leading Companies in Nearly 70 Countries. What is the global market size for lime? What is the lime market size in nearly 70 different countries? Are the markets growing or decreasing? How are they divided into different kinds of products? How are different product groups developing? How are the markets forecast to develop in the future? Which are the leading companies in the field? These and many more other questions are discussed in the research work. 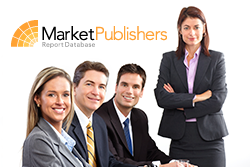 MarketPublishers.com is a multilingual hypermarket offering a rich collection of comprehensive studies on various markets, sectors, industries, companies, etc. We perform professional services aimed to equip our clients with high-quality research products and support critical decision-making.